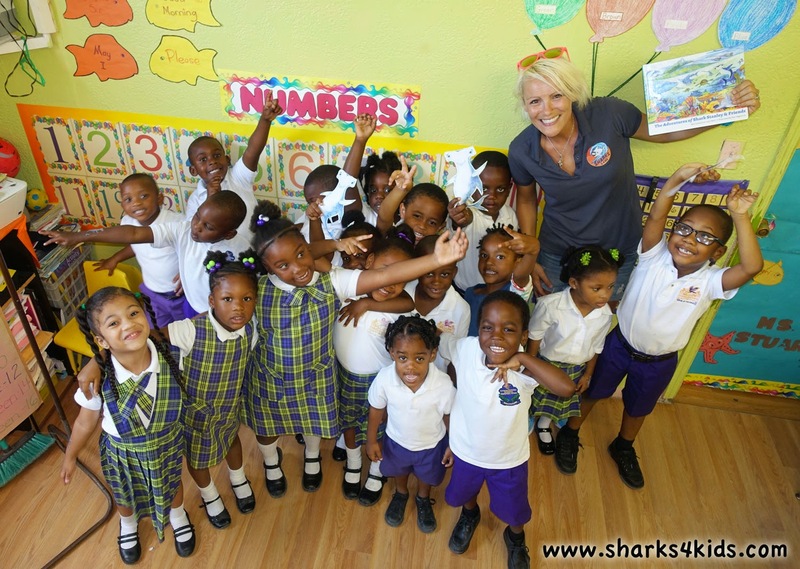 Shark Stanley, the friendly cartoon hammerhead shark, landed in Bimini on April 16 at Gateway Christian Academy for the official Bahamas launch of the children’s book The Adventures of Shark Stanley & Friends. Shark Stanley is a global ambassador for shark conservation and the main character in the science-based children’s book. 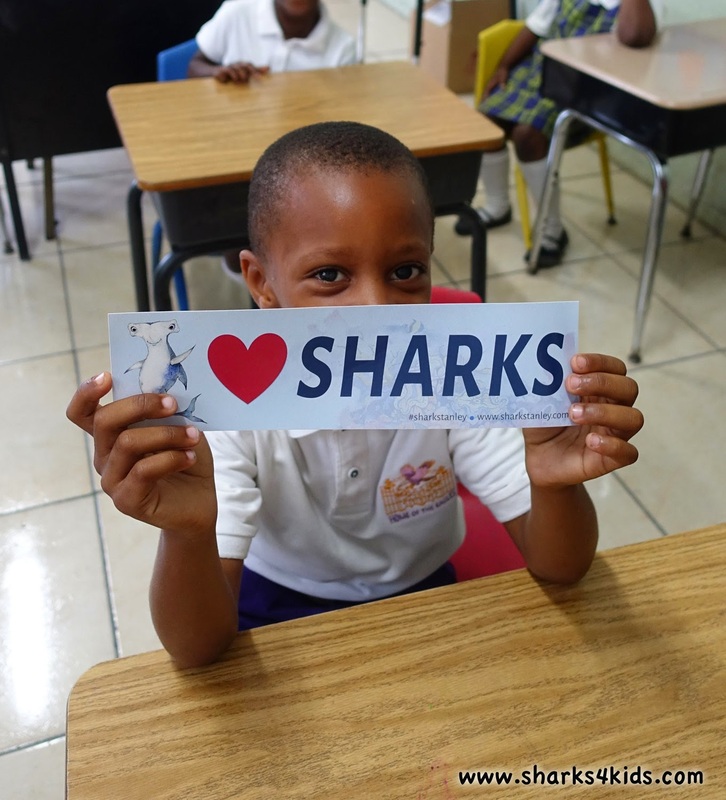 In conjunction with the Florida based global nonprofit Sharks4Kids, the Shark Stanley launch event included a shark lesson for the students, as well as a reading of the book to mark the official Bahamas launch of the Shark Stanley campaign. Sharks4Kids founders Jillian Morris and Duncan Brake taught the kids about sharks, specifically how scientists learn about them and why they are critically important for not only the Bahamas, but the oceans of the world. The book, which was created in partnership with the United States-based The Pew Charitable Trusts, uses scientific and economic research about the importance of sharks to marine ecosystems, tourism, and food security in a format that is fun and accessible to young people. The accompanying social media campaign involves taking photos while holding a cutout of Shark Stanley or one of his 17 shark species friends and posting the pictures to Facebook, Twitter, or Instagram with the hashtag #SharkStanley, linking a global network of conservation-minded youth. 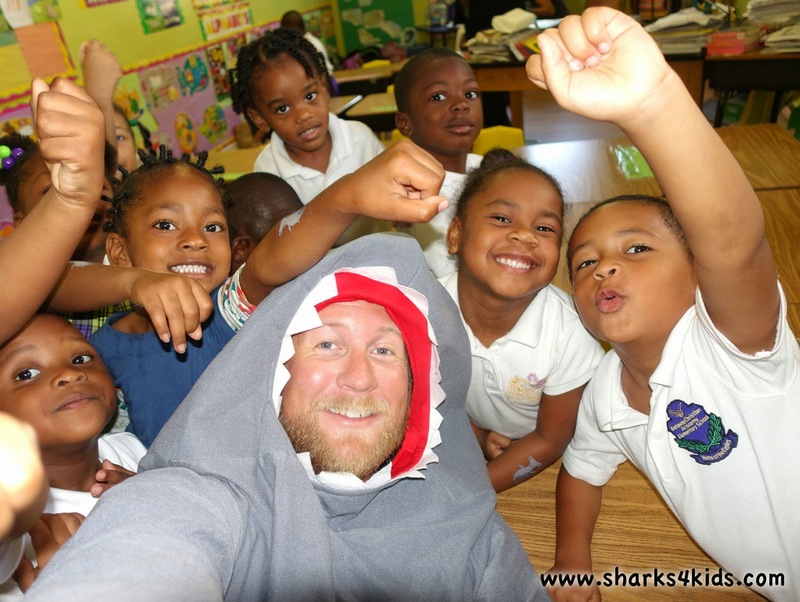 The goal of Sharks4Kids is to create the next generation of shark advocates through education, outreach and adventure. The website provides students and teachers access to a dynamic range of educational materials and experiences. Curriculum, games and activities allow teachers to integrate shark education into their science programs on an introductory, intermediate or advanced level. Students can access games, activities and info sheets to satisfy their own curiosity about sharks. Classroom visits, student snorkeling trips and shark-tagging expeditions also provide hands-on experiences in the world of shark science and conservation. Sharks4Kids believes kids can make a difference and their goal is to inspire and empower them to do so. Approximately 100 hundred million sharks are killed annually in commercial fisheries and scientific research shows that 30 percent of known shark species assessed by scientists are threatened with extinction. Continued declines in shark populations jeopardize the important role sharks play maintaining the health of the entire ocean. Many species of sharks are top predators, and they regulate the variety and abundance of species in the food web, including commercially important fish species. Sharks also help to maintain healthy marine habitats, such as coral reefs. Additionally, sharks are a favorite species for many SCUBA divers to see, making their presence equally critical to the tourism industry. The Bahamas proved to be a leader in shark conservation in the Caribbean by passing legislation that designated the country’s full EEZ a shark sanctuary in 2011. The Bimini event on April 16 is one of 10 global Shark Stanley launches happening all over the world during the month of April, including events in Grenada, China, Fiji, Samoa, Canada, the United States, Turks and Caicos Islands, Hong Kong, and the Philippines. These are really popular places in the city for private events for corporations like us. It can be hard to find the right venues Los Angeles for big events. The right size, that is flexible fits well. Thanks to you.